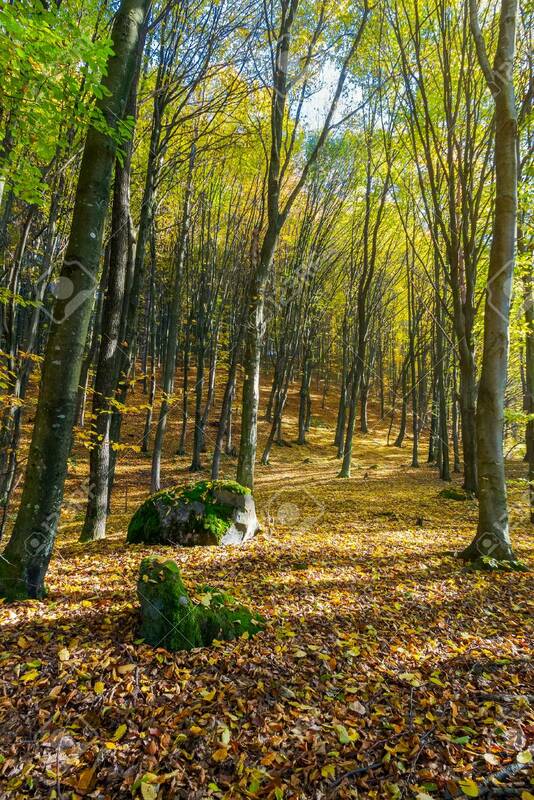 Autumn Forest On A Sunny Day. Mossy Boulders Among The Fallen.. Stock Photo, Picture And Royalty Free Image. Image 111139654.